What: Each Fall before Spring pre-registration, we will hold the Major’s Fair. This is an amazing time for each department to display their course offerings through majors, minors & electives to the entire Freshman student body and additional under-classmen looking to change their direction. Please join us for a time of fun and education! When: October 12, 2017, 10 a.m. – 1:00 p.m. Contact: Registration with OPEN SOON and will close by October 2, 2017. 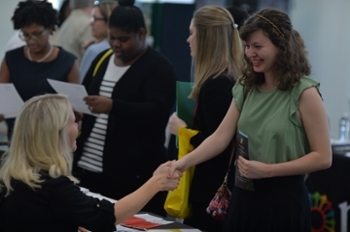 Please contact The Center for Career and Calling at career@belhaven.edu or 601-968-8995 if you have questions.